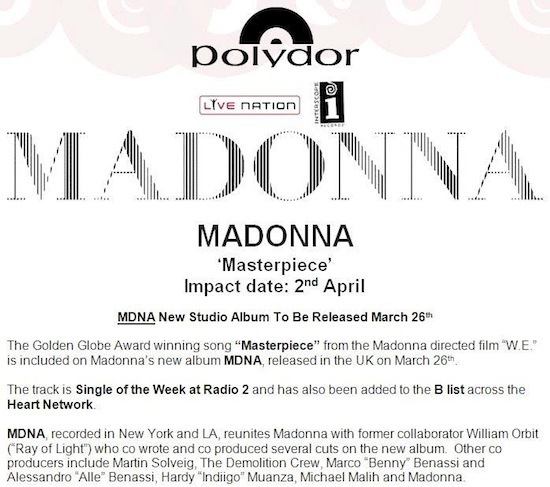 On April 2 2012, the third single from Madonna’s MDNA album, Masterpiece, was released in the United Kingdom. 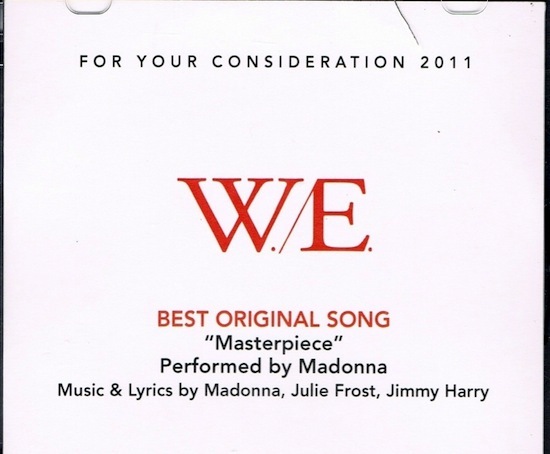 Masterpiece was composed by Madonna, Julie Frost and Jimmy Harry and produced by Madonna and William Orbit. 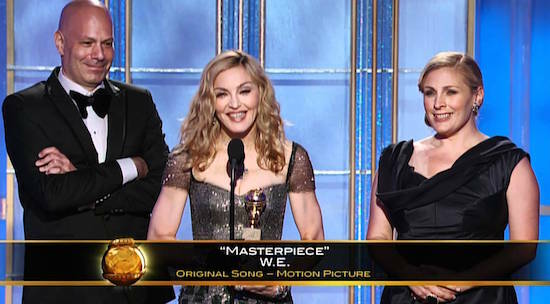 When Madonna was directing her film W.E., her manager Guy Oseary persuaded her to compose a song for the soundtrack. 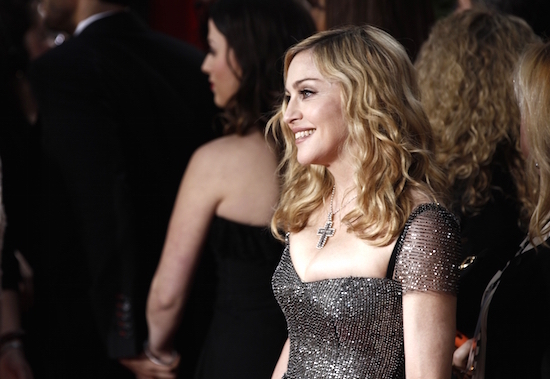 Frost was living in Los Angeles at that time and was assessing her priorities in the music world, and wanted to collaborate with a number of artists, Madonna being the first. 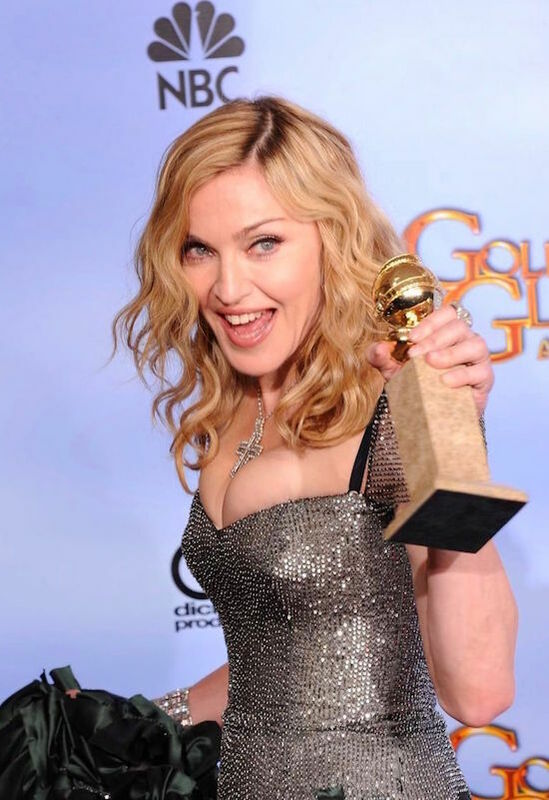 “She is an icon”, Frost said, “But most importantly she has some of the best Pop songs in the history of music… so yeah it’s always a dream to work with people like her.” Orbit, who was working with Frost and Harry on an assignment, contacted them for collaborating with Madonna on Masterpiece. He had heard Frost’s initial composition of the song and knew that Madonna would love it. According to Frost the theme explained to them was about bittersweet love and the hardships felt being in a relationship. 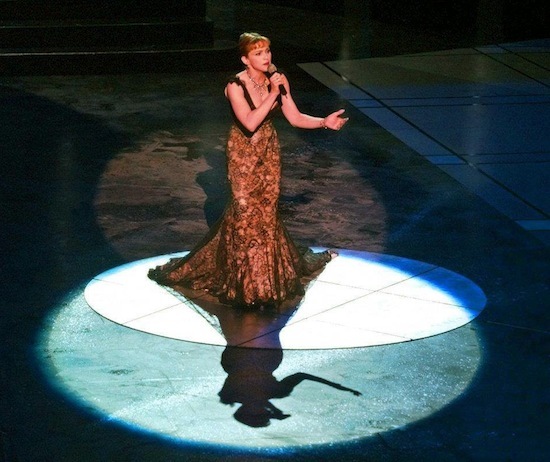 Madonna, Frost and Harry sat together with this idea and brainstormed and came up with the lyrics and the melody. 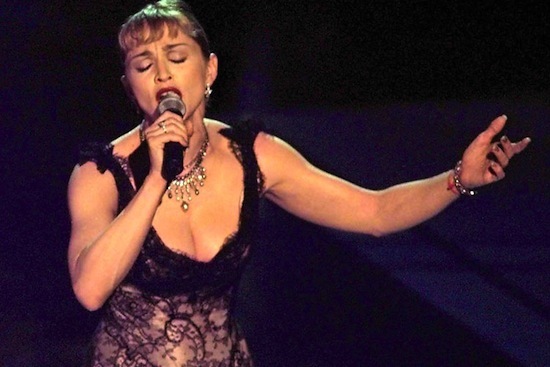 Over time, Madonna changed the structure of the song and the final version was ready for recording.